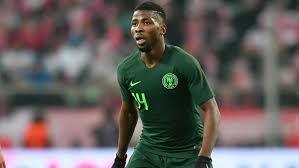 Another huge blow has hit Leicester City of England attacker, Kelechi Iheanacho, as he has not been listed among the roll call of players in the English Premier League that are set to star for their respective countries at this year’s Africa Cup of Nations in Egypt. While his teammate at King Power Stadium, Wilfred Onyinyen Ndidi and Brighton Hove Albion’s Leon Aderemi Balogun are both named alongside the Liverpool duo of Sadio Mane and Mohammed Salah among stars to watch come June/July, Iheanacho’s name is conspicuously missing. Footballlive.ng reports that it is another blow to Iheanacho, whose once booming career has taken a nosedive since his exit from Manchester City to Leicester, where he has since become a fringe player, with an attendant drop in form during international duty. Iheanacho’s lost form with the Super Eagles has seen the most valuable player at UAE 2013 FIFA U-17 World Cup left out of Nigeria’s last two matches across the past five days, thereby leaving deeper worries over his future with the national team for which he has eight career goals. 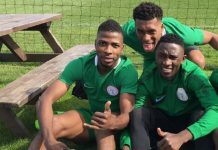 Before his senior national team debut in 2014, Iheanacho had also been part of Nigeria’s squad to the 2015 FIFA U-20 World Cup in New Zealand, but struggled for form in the two matches he played. 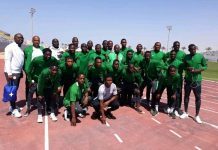 Iheanacho made his senior debut as a substitute in a 0-0 2014 World Cup qualifier against Swaziland, while his first start for the senior team was on March 25, 2016 in a 1–1 draw with Egypt in a 2017 AFCON qualifier. 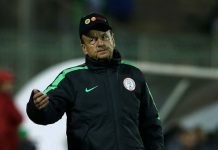 He was named in Nigeria’s 35-man provisional squad for the 2016 Olympics, but failed to make the final 18, yet was selected for the Eagles’ friendly games against Mali and Luxembourg in May 2016. He scored in both games, adding an assist against Luxembourg, which earned him his competitive debut against Egypt in 2015, during Nigeria’s ill fated AFCON qualifying series. Sadly, heading into the 2019 edition, Iheanacho has not gained a word, as Sky Sports cataloged the top African players in the EPL who are very likely to feature for their respective countries at the event in Egypt. The report stated in part: “Mohamed Salah did not feature in the latest internationals for Egypt but the Liverpool forward will likely feature for the hosts as will vice-captain Mohamed Elneny (Arsenal). “Senegal captain Sadio Mane (Liverpool) is likely to be involved, along with Cheikhou Kouyate (Crystal Palace) and Idrissa Gueye (Everton). “Man City forward Riyad Mahrez should be included by Algeria along with Alex Iwboi (Arsenal), Wilfred Ndidi (Leicester) and Leon Balogun (Brighton) for Nigeria. “Crystal Palace duo Jeffrey Schlupp and Jordan Ayew could make the Ghana squad along with Christian Atsu (Newcastle), while Wilfried Zaha might be included for the Ivory Coast.